Tomorrow is closing day for our school and today we were planning to take the kids for an excursion but due to the rainy weather we had to cancel. However, that didn't stop us organising a last minute party for our kids. All staff contributed ideas and for the first time the kids had the chance to have fun and play with our African Clown Eliud -who is normally the watchman of our school! 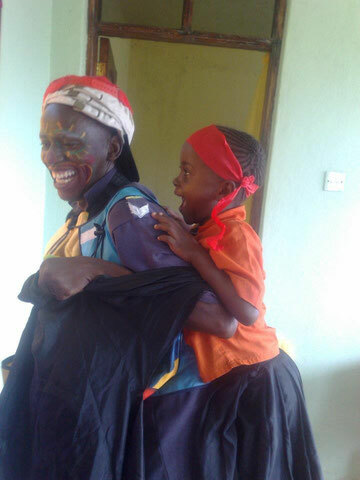 Another creative-fun day here at KARIBU care for the kids and staff!